Compare all new condominiums for sale in Monteregie, below $150 000. Condo construction project for sale in Granby. Near parks. Project in the Granby region. Several 12-unit buildings are available. Condominium project for sale in Vaudreuil-Dorion. 2-storey condo project located just a few minutes from Lac Brome. 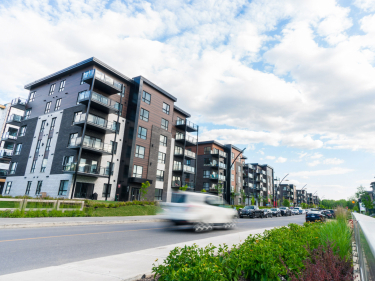 ML2 is a condo project located on the South Shore of Montreal, offering privileged access to Saint-Lambert as well as Vieux Longueuil. Quartier Trinité Deux is a 144 condo project for sale is located in Saint-Basile-le-Grand. Lumicité Condominiums 2 is a residential project of 132 condominiums in St-Mathieu-de-Beloeil. Condominium project in Granby offering 2-bedroom units with 1200 sq.ft surface areas. High-end building of 15 units, abundant fenestration, view on the water, interior garage, elevator and several inclusions. 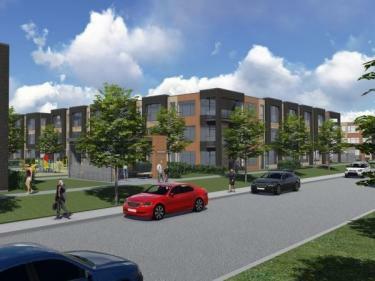 Project of construction of 120 condos for sale in Valleyfield. 4 and 5 and half in 6-plex and 12-plex. Easy access to Highway 530. 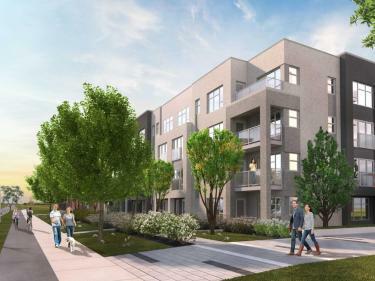 Condos construction project for sale in Chambly. 33 units, 4 and a half. 17-unit luxury condo project located by the waterside in Contrecoeur. Project of construction of condos in Saint-Amable. 30 units in all with modern design and ergonomic kitchen . Real estate project for sale on Ile Perrot, large condos on one floor , with 4 seasons porch and double garage. 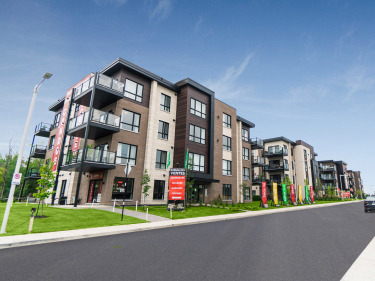 Located on Lemieux St. in Granby, La Cité du Lac is a project offering condos in 6-plex and 10-plex designs.